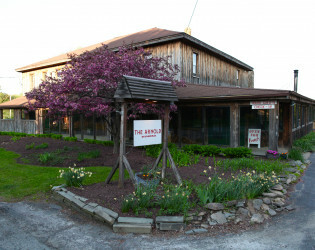 The Arnold House is a country retreat set on seven acres and nestled into the forest of Shandelee Mountain. With nine guest rooms in the main inn, a two-room garden suite and a king-sized studio room with private terrace in our garden house, our Tavern restaurant, the 1960s Dining Room, spa treatment facilities, and gardens, the Inn is built to accommodate weekend get-aways as well as large celebrations. 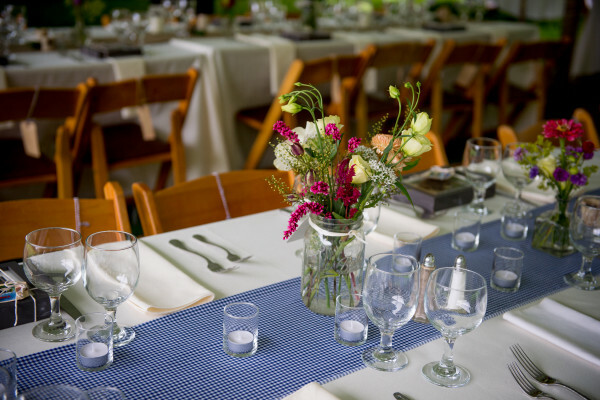 If you are looking for a rustic country backdrop but don't want to compromise on great local food for your dream wedding or private event, The Arnold House on Shandelee may be just what you are looking for! 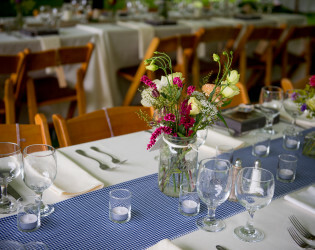 We offer weddings & events year-round and can comfortably accommodate up to 200 guests. Located 2 hours north of New York City in the western Catskills, the Arnold House is a country retreat set on seven acres and nestled into the forest of Shandelee Mountain. We specialize in rustic barn and outdoor weddings on our beautiful grounds, including ceremonies in our meadows and near our pond, but also offer cozy cold weather affairs with our roaring wood stoves and comfortable indoor seating. 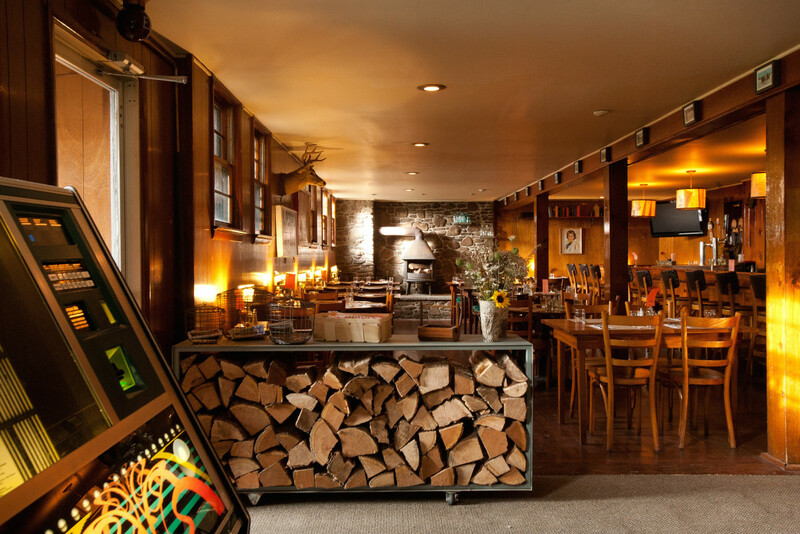 These events can be held in our Tavern, 1960’s Dining Room, Sun Room, BBQ Barn or outside in the meadows. 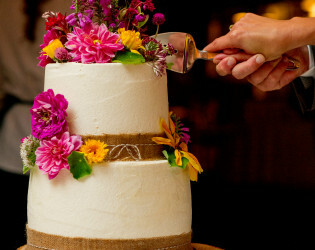 Our goal is to work with each individual party to make sure we customize to taste, style and budget. The Arnold House has 11 rooms on property. In our Main Building – all with en suite bathrooms - we have 4 queen rooms, 2 double twin rooms, 3 king rooms. In our Garden House we have our Garden Suite, which is a split level suite with private living space & outdoor seating and two bedrooms - 1 queen room, 1 double twin room – sleeping 4 maximum as well as a one large bathroom and our Garden Studio has 1 king bed, comfortable sitting area, en suite bathroom, and a private balcony overlooking the meadows. Our Shandelee Lake House is located 1.5 miles from the Arnold directly on a beautiful mountain lake and has 1 king room and 1 queen room and two full bathrooms. This house also has boating, swimming and fishing access to lake for guests. 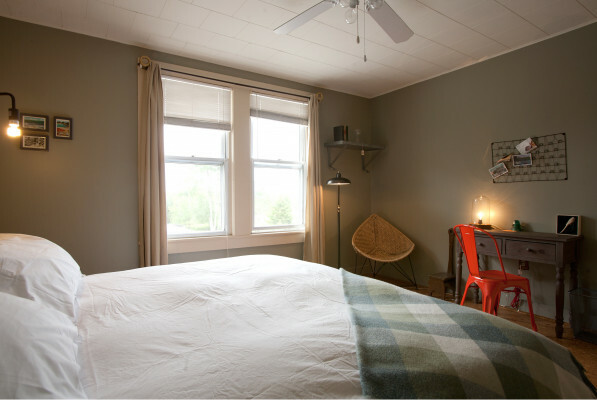 Our sibling properties located within 15 minutes of the Arnold may also have additional rooms for guests, subject to availability. 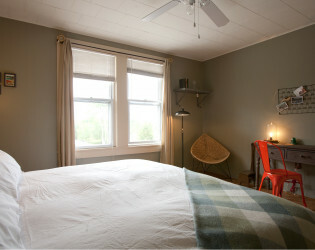 Room Amenities: Our rooms have Sferra robes, towels & linens, cozy down duvet bedding, cork flooring, Malin & Goetz products. 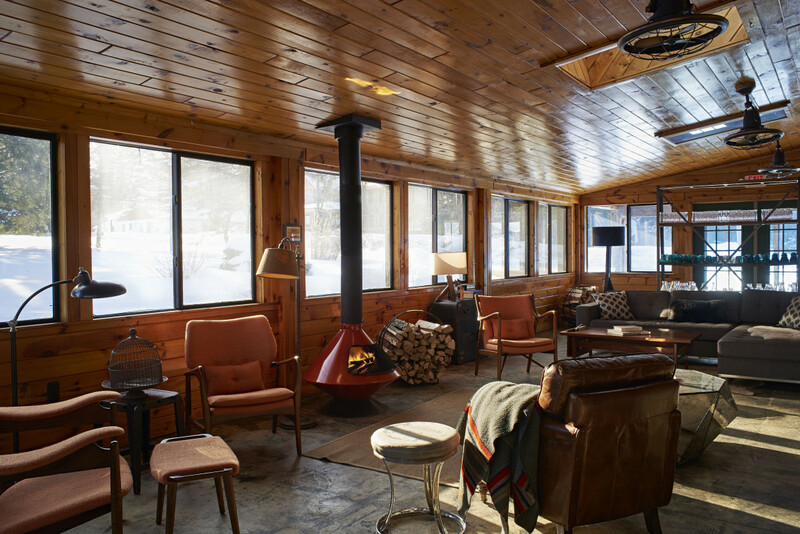 We also have complimentary WiFi throughout (except at Lake House), complimentary daily breakfast, a full service bar and tavern on property and access to a private lake for swimming, fishing, and boating (with rental of Shandelee Lake House). Open year-round, The Arnold House is always offering a variety of fun weekend and weeknight programming events for our local - and visiting guests. Not to miss each year is our Ice Fishing Derby in February, our Ramp Picking Weekend in April and Oktoberfest in the Fall. We also host Comedy Nights on weekends throughout the year, karaoke during the week, specials throughout football season, live music held outside every Friday in the Summer and s'mores around the bonfire whenever the weather allows! Check in with us to see what might be happening when you are visiting! 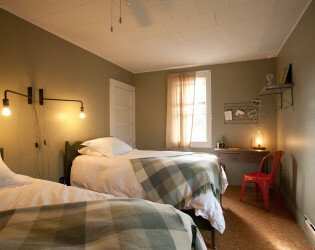 With nine guest rooms in the main inn, a two-room garden suite and a king-sized studio room with private terrace in our garden house, our Tavern restaurant, the 1960s Dining Room, spa treatment facilities, and gardens, the Inn is built to accommodate weekend get-aways as well as large celebrations. 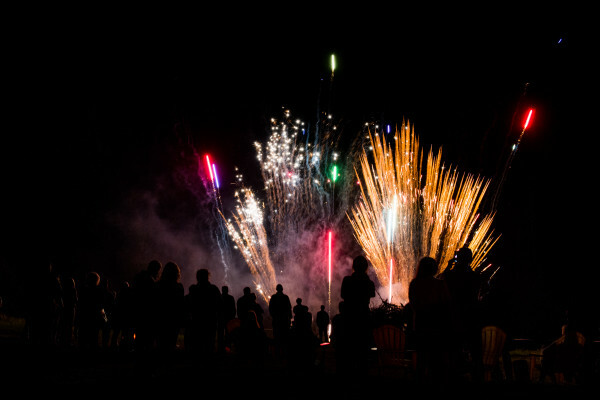 Summer bonfires at night and live music & events in our BBQ barn round out a casual but lively country experience. Rich in history, the building has been serving the local community and city escapists for over 100 years. Having just undergone a renovation in the Spring of 2014, the building inherently represents the many eras in which it has served its guests. The rooming house era of the 1920s, the booming Catskill Resort era of the ‘50s and ‘60s and all the in betweens. 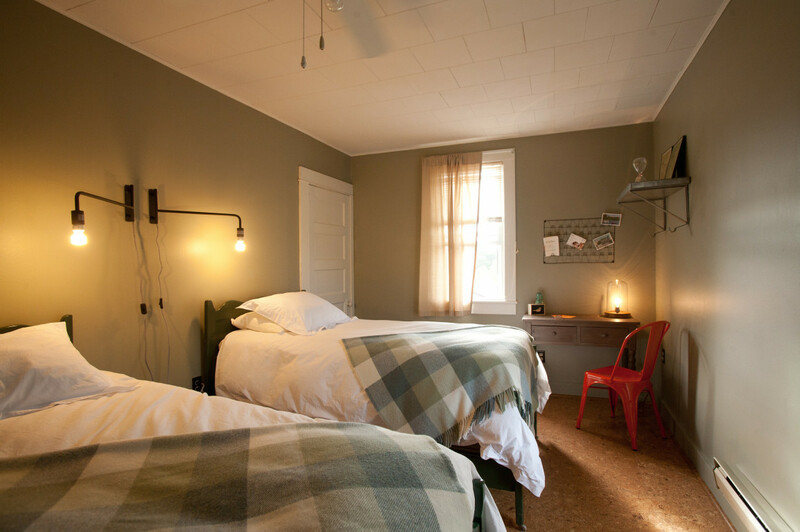 The Arnold aims to respect our sense of place and history while giving guests a clean, contemporary sensibility. The Tavern is much the same now as it has been for the past 50 years. 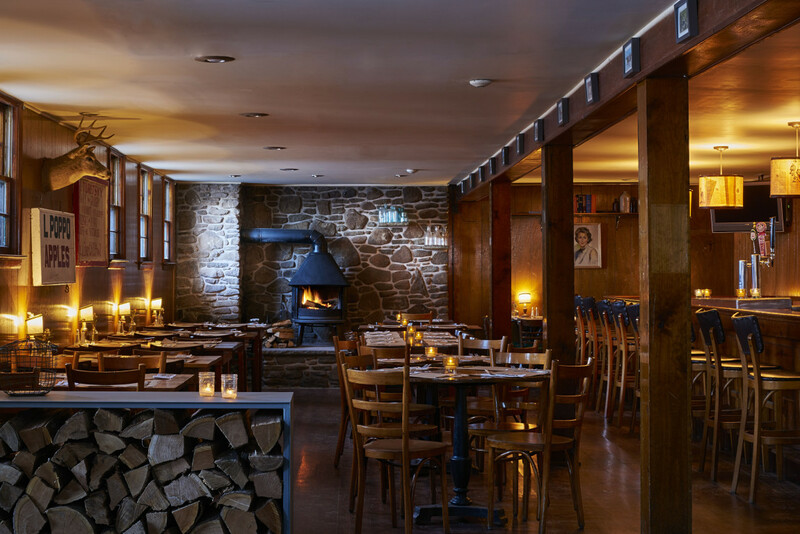 Guests will find friendly, warm and lively service and a menu that embraces comfortable accessibility and local ingredients including trout from our world famous rivers. 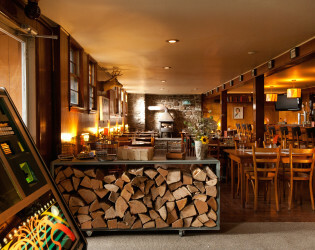 There is a pool table, jukebox and spontaneous singing is encouraged. A deck just outside the sunroom offers cocktails and full tavern fare, weather permitting. This hospitality also extends out to our classic BBQ Barn and grounds, where we host live music events, weddings, reunions and much more. 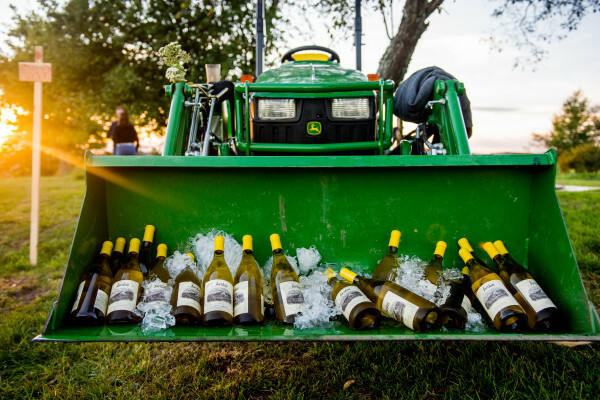 If you are looking for a rustic country backdrop but don't want to compromise on great local food for your dream wedding, The Arnold House on Shandelee may be just what you are looking for! When we provide you with our wedding and event prices, these prices already include most - if not all - of what you might need to host your event! - Full staff for the events, including set up, breakdown and cleanup for each event. 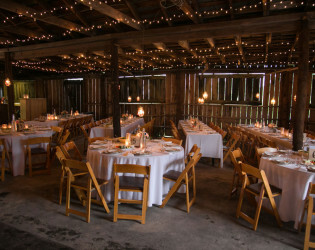 - Custom farm tables & benches in the barn that seat up to 14 people each, 126 in total. 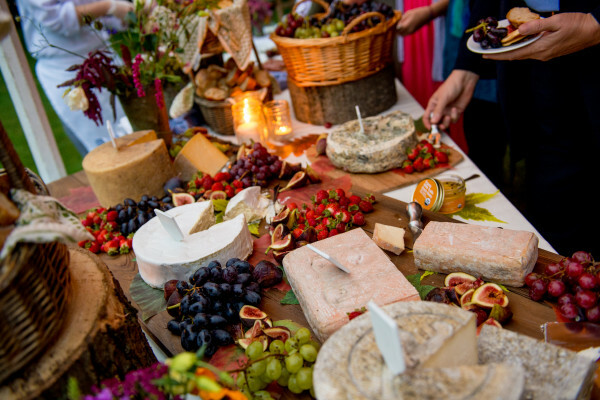 - Assorted and carefully collected catering supplies (such as vintage apple crates and farm baskets) to create the perfect atmosphere and are used to set up food stations and for food service. - iPod plug-in ready speaker system in the Barn and Sonos available for use. 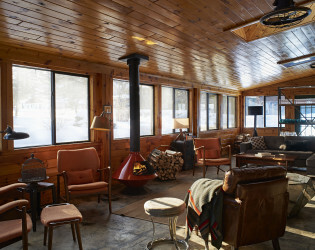 - Sun Room with cozy seating and woodstove for those that want to take a break from the festivities. - Bonfire pit (for your late night s’mores and whiskey!). 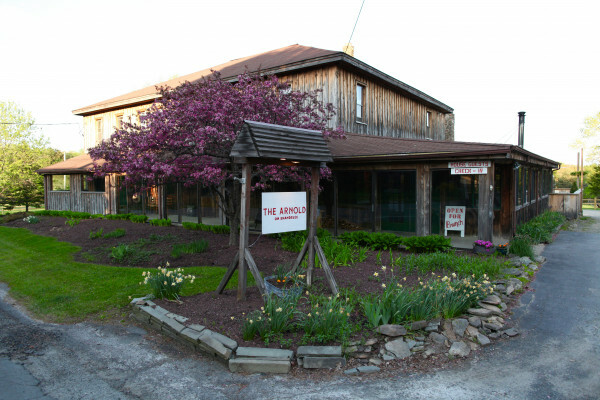 - Assistance in coordinating activities for guests and wedding parties (Arnold spa packages, fishing trips, hiking tours, farm visits, brewery visits, yoga classes and more). 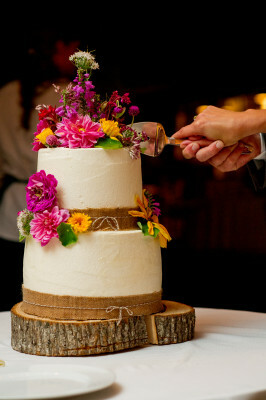 - Carefully selected list of our favorite local vendors to complete your wedding and event needs. 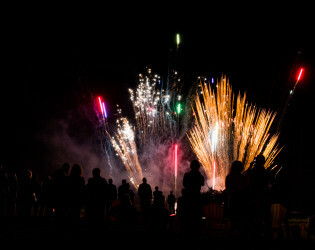 - Assistance in coordinating an optional fireworks display to create a truly memorable bash. Our classic original Catskills BBQ Barn has its own grill station and bandstand overlooking the meadows. Together with our handcrafted farmhouse tables, this venue is one of our most popular for weddings and large warm-weather gatherings. - View: Overlooking our meadows, pond and bonfire pit, our BBQ Barn sits central on our property in the middle of all the action! 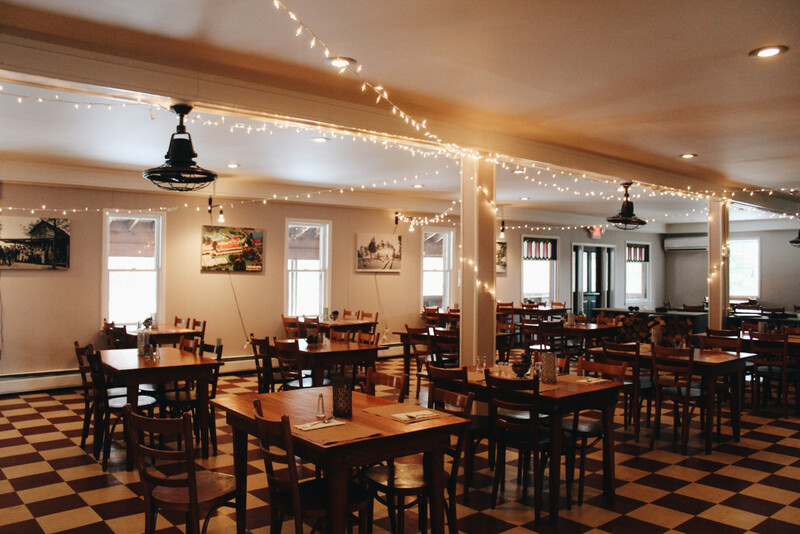 Our classic 1960s dining room extends off our our Sun Room and is located above our tavern, this is the perfect place for a gathering up to 100 people year-round. Meadows and pond provide a scenic backdrop for your outdoor affair. 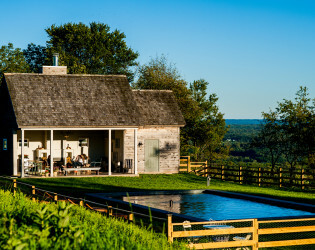 - View: Meadows and pond and our BBQ Barn, which you can utilize to co-host your event (dancing in the barn, sit-down dinner in the meadows, perhaps?). Vintage woodstove, well appointed seating and beautiful views through greenhouse provide scenic and intimate backdrop for your small event. Located 6 miles from The Arnold House on top of East Hill, this site offers breathtaking 360 degree views. 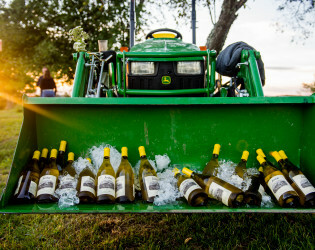 Venue includes use of pool, pool house and 65 acres of fields and rolling hills. - View: Located on top of a mountain, this venue offers truly breathtaking 360 views of the area and beyond. 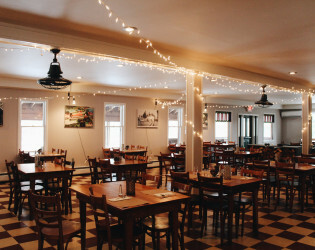 Our tavern has been featured in many very notable magazines and publications that we are so grateful for! See "Awards & Notables" and our website for a complete list. 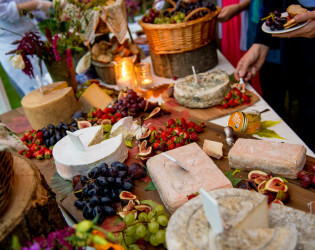 Some notables are Food & Wine Magazine, Fodors, NY Times, Tasting Table & Travel & Leisure. 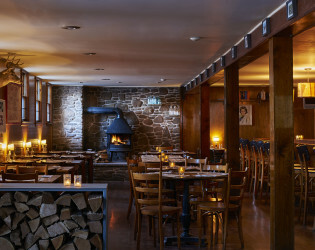 Our tavern hosts our classic bar where you will rub elbow to elbow with many of the local purveyors and farmers from whom we source our product! Challenge them to a game of pool or grab your favorite cocktail and wander down to our pond, sit in the hammocks in the meadows, curl up next to our bonfire with some s'mores or try your hand at a game of horseshoes! 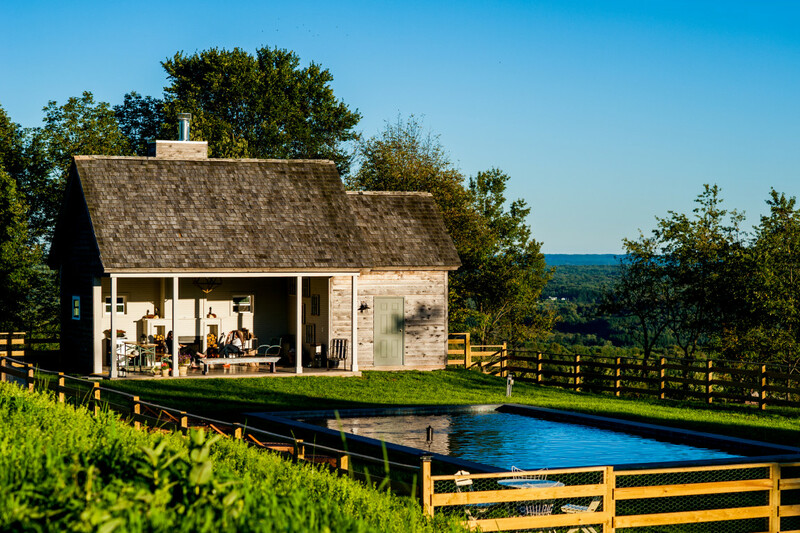 Located 2 hours north of New York City in the western Catskills, the Arnold House is a country retreat set on seven acres and nestled into the forest of Shandelee Mountain. The Tavern is much the same now as it has been for the past 50 years. Guests will find friendly, warm and lively service and a menu that embraces comfortable accessibility and local ingredients including trout from our world famous rivers. Open year-round, The Arnold House is always offering a variety of fun weekend and weeknight programming events for our local - and visiting guests. The Arnold House has 11 rooms on property. In our Main Building – all with en suite bathrooms - we have 4 queen rooms, 2 double twin rooms, 3 king rooms. View from East Hill Manor Farm, which has 360 views of the area. We have many fun ways to change up presentation for your bar & food. 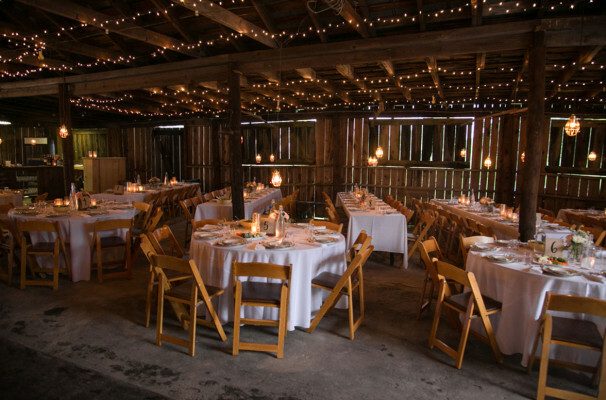 We specialize in rustic barn and outdoor weddings on our beautiful grounds, including ceremonies in our meadows and near our pond, but also offer cozy cold weather affairs with our roaring wood stoves and comfortable indoor seating.